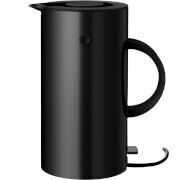 In 1985, prestigious designer Michael Graves created the kettle with the bird-shaped whistle that would go on to become one of design’s most iconic pieces of the 20th century; combining influences from Art Deco to Pop Art. 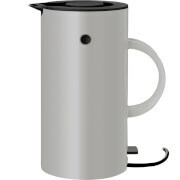 The limited edition cordless kettle is crafted from 18/10 mirror polished stainless steel with a handle and base in blue PA.
Capacity: 150cl/1.5L. 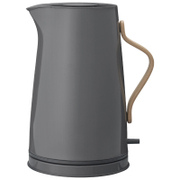 Dimensions: H: 27cm x Ø: 25.5cm.